Jesse "Dan" Daniel Hall, Sr.
HALL, Jesse “Dan” Daniel, Sr., 65, passed away at the HPH Hospice Care Center. He was born November 5, 1952 in Brooksville, Florida and has been a lifelong resident. 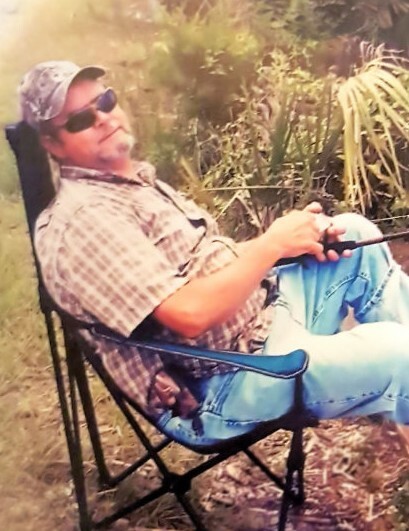 He enjoyed hunting, fishing, camping with his family, and growing vegetables in his garden. He absolutely loved cooking. He was a carpenter by trade and was of the Baptist faith. He is survived by his mother, Laura “Adelaide” Hall of Brooksville, Florida; son and daughter-in-law, Jesse D. Jr. & Shavone Hall of Brooksville, Florida; daughter, Karen Hall of Lutz, Florida; brother, Jerry Hall of Brooksville, Florida; sisters and brothers-in-law, Laura & Steve Atchison of North Carolina and Pam & Mike LaPan of Dade City, Florida; grandchildren, Kirstyn Hall and Kaitlynn Wolfe. A Visitation for family and friends will take place from 12:00pm-1:00pm, Friday, September 14, 2018 at Merritt Funeral Home, Brooksville Chapel, where Funeral Services will begin at 1:00pm, with Reverend David Hope officiating.